Introducing the new Master Compressor Diving Pro Geographic Navy SEALs. In 2007, the Master Compressor Diving Pro created a stir and a huge craze in the diving world with its mechanical depth gauge that gives the case such a characteristic shape. With this exclusive Navy SEALs version, a 300-piece limited edition in pink gold with a shotpeened ceramic bezel, watertight to 300 metres, Jaeger-LeCoultre is once again asserting the exceptional nature of its depth gauge system. This instrument has a membrane that is sensitive to the water pressure exerted on its metallic head. It transmits the information to a rack, which in turn transmits it to a hand. The depth can be read on a logarithmic scale, which is very detailed for the first 40 metres and is displayed on the outer dial ring. This timepiece, the ultimate in technical instruments, moves to the rhythm of the dive, continually and instantaneously displaying the diver’s depth. 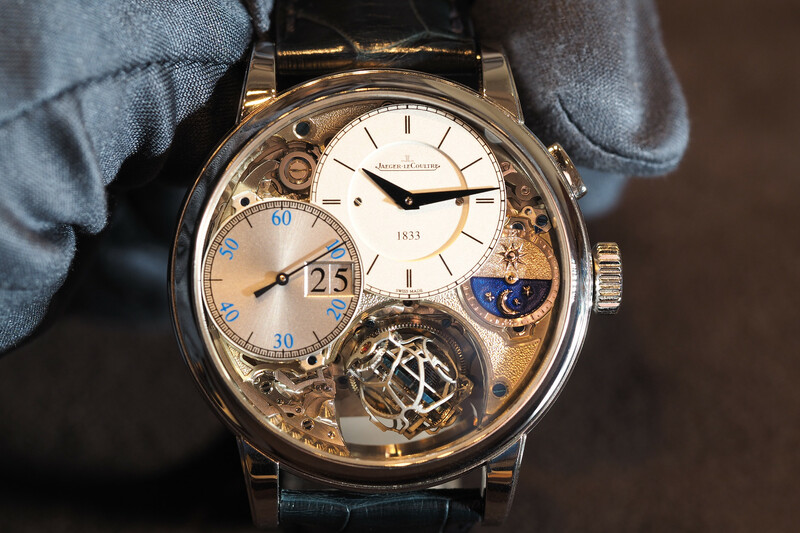 Standing out against a black dial, the stamped numbers and hour markers are covered with a white luminescent coating, as are the skeletonised hands. So the design brilliantly plays the card of greatest legibility with, under the domed sapphire crystal of hardness 9, a play of black, white and pink gold, the luminescent hands and displays; while the crowns with their overmoulded compression keys of black rubber and the sensor of black PVD steel emphasise the simplicity of this timepiece’s design. This watch is precious not only for its materials, but also for its functions: date, worldtime and an operating indicator. 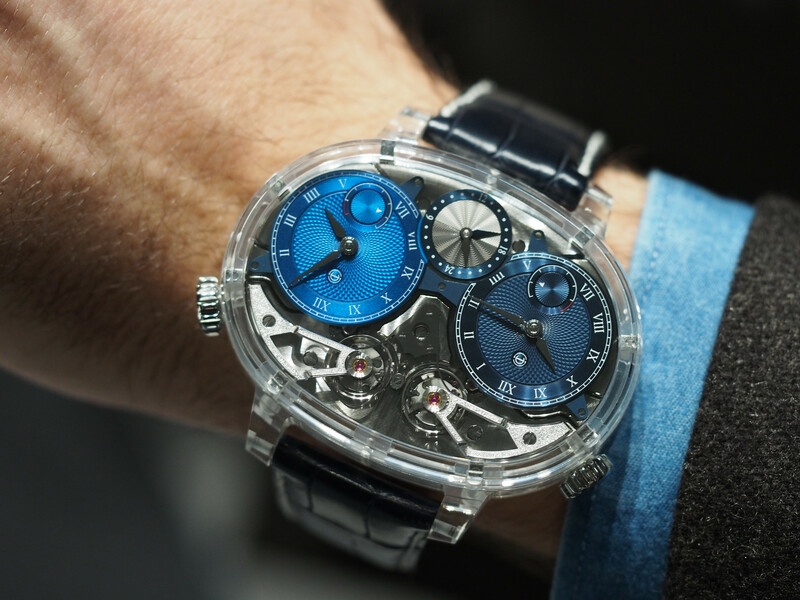 For example, to see the time in any time zone, the wearer simply positions the city representing that time zone in a window at 6 o’clock, and the time there is immediately displayed on a round 24-hour dial at 9 o’clock. 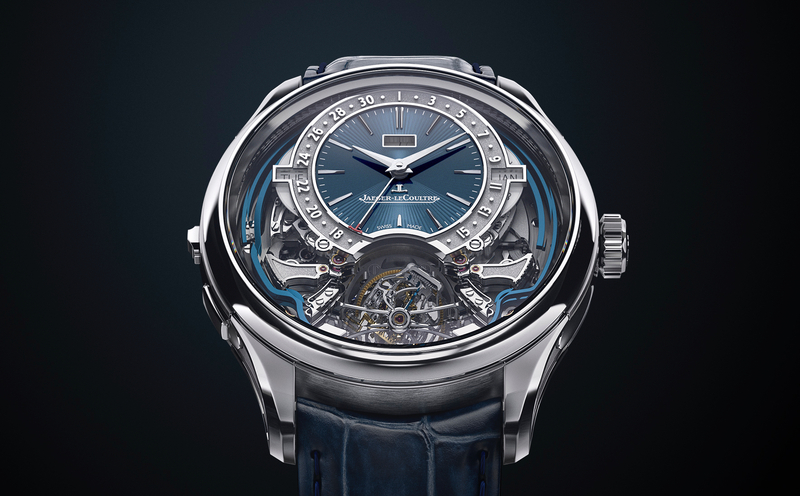 The piece’s accuracy is ensured by the Jaeger-LeCoultre Calibre 979 automatic movement, which operates at 28,800 vibrations per hour and has a 48-hour power reserve. Vintage leather, overmoulded rubber or articulated rubber. The watch also comes with an alternative wristband, a diving strap in black Cordura® with a rip-and-grip strip.